Who is the NDT level 3 for PT. Karsa Kencana Indonesia ? Aria Gada Kencana is our PT. K2I – NDT level 3. He is currently one of few people in Indonesia who are holding 6 or more NDT methods under ASNT. His certificate is registered with ASNT (Id. No. 185875) and he has been acknowledged by the related Indonesian ministry department. How long is the training course and how much will it cost me ? Lunch plus snacks during breaks. What is the minimum quota for each training course ? With a minimum of 2 (two) participants, we will conduct the training. With more than 4 (four) participants, the course fee may be reduced by 10%. Maximum attendant for each class is 8 people. If I can not attend the ongoing course, can k2i conduct another class ? We realize that not everyone has the same chance and time to attend the training held at our office. On demand, we will conduct another session of training outside our fixed schedule at your own premise, provided there are min 6 participants for each course. Where is the location of training office? 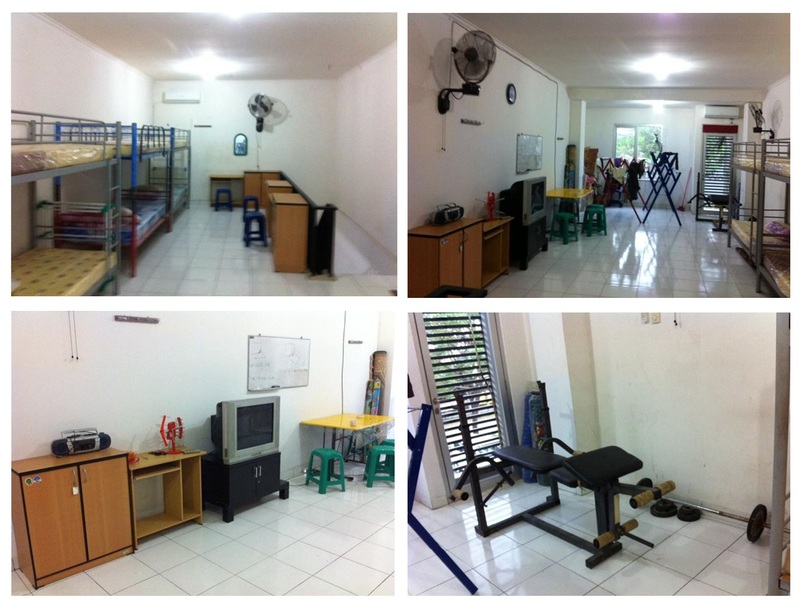 click here for k2i address . .
Is there any nearby budget hotel or accommodation, close to our training office? What is the minimum level of education to take NDT training ? A minimum Senior High School diploma (all major lessons e.g. science, social, language) or equivalent, is required for participant to be allowed in L1 – NDT training while L2 – NDT training may require some related NDT work experience, prior taking the L2 course. 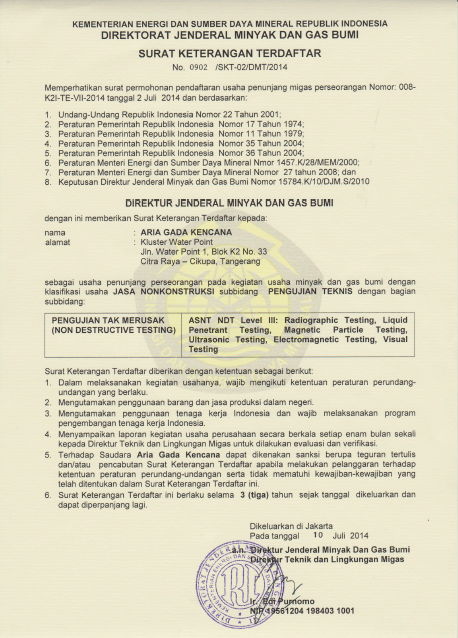 Is the NDT certificate issued by PT. Karsa Kencana Indonesia valid internationally ? Yes, our issued NDT certificates are valid either in Domestic and International level, since it is based on a long standing guideline from ASNT (American Society for NonDestructive Testing), as per ASNT SNT TC 1A (employer based certification system). PT. 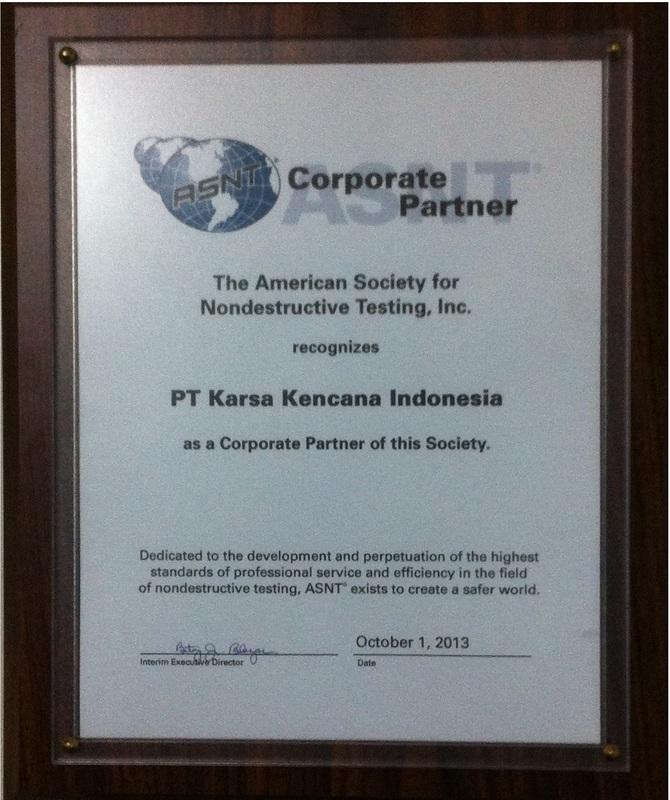 Karsa Kencana Indonesia is registered as ( ASNT ) Corporate partner and our NDT Level 3 has been registered with the related Indonesian minsitry department ( MIGAS ). How long is the Validity of Certificate issued by PT. Karsa Kencana Indonesia ? The certificate issued by PT. Karsa Kencana Indonesia is valid for 5 (five) years. After that, recertification is required either by submitting proof document of satisfactory work preformance for the last 5 years or by taking reeaxmination (either full or partial exam). Do you accept credit card payment? or can I pay the course in installment ? Unfortunately our system do not accept credit card payment yet. Who do I contact outside working hours ?